When we buy any Android smartphone, they already have their own Phone Name as identity. It will show to any wifi router or Bluetooth or any other wireless device to make specific knowledge for the connections. Most factory default Phone Name identity will be use default random name such as Android-xxxxxxxxxx or Android Brand with specific type such as OPPO-F7 or Galaxy-S10 and something like that. This name will name change until we change manually from menu setting. What is Pros and Cons Rename Our ANDROID PHONE NAME ? Rename our ANDROID PHONE NAME is safe, it will not effect anything to our Android smartphone performance or connection or anything. Just change the identity. Advantages of rename our phone, will make our phone more easy to recognize when we want to make connections like connect to Bluetooth or Wifi. ANDROID PHONE NAME will become Hostname at Wifi Router. Although we change several time, it will not make troubles to any Wifi / wireless connections, because Wifi Router will automatically change our Hostname to new ANDROID PHONE NAME. 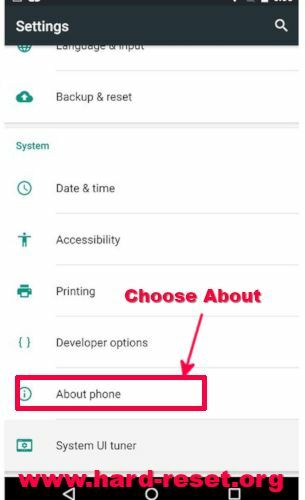 disclaimer note: the menu will be vary for each devices, but at most smartphone we can rename Samsung phone name or rename Huawei phone name or LG phone name or Xiaomi phone name with this steps. Some other phone with newer Android smartphone version might be different but still at same procedure. This steps also will work with other brand, for rename Nokia phone name or rename Vivo phone name or rename Honor phone name. How to Easily Master Format LG V30 / V30 PLUS with Safety Hard Reset?